Engage your guests with a selection of innovative experiments, games and activities that will inspire ideas and conversations. This can take place in the Type Tasting studio or the Pop-up Lab can come to you. This relaxed and fun session is suitable for all (no experience or interest in design is necessary). You’ll take part in intriguing demonstrations and experiments, many of which reveal how your experiences influence the choices you make, and Sarah will be on hand as a guide and to talk you through the outcomes and results. These are fun and interactive breakout sessions or pre-talk activities as part of a conference or festival programme. Bespoke sessions can also be created to tell the story of your brand or product. One of a series of activities and experiments designed to reveal the personalities of fonts, that type influences decision-making, experiences and all the senses. Guess the record from the typeface on the label, place the vinyl on the turntable, put on the headphones and find out whether your guess is right. 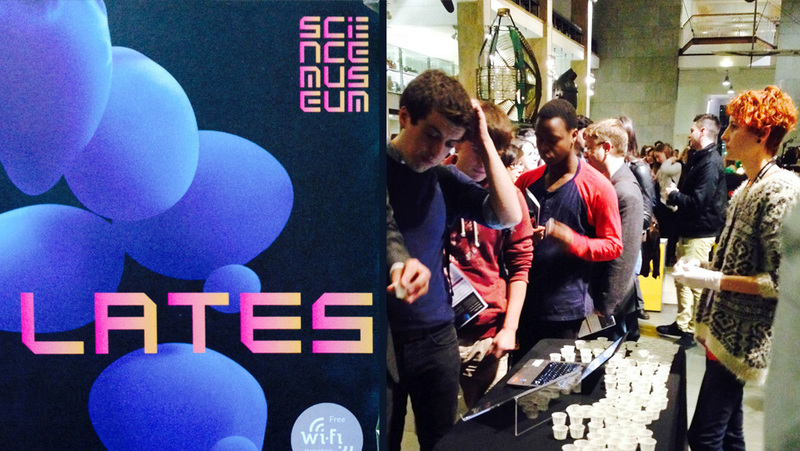 A mass participation experiment as part of the Cravings exhibition designed to entertain as we gathered data for a scientific study.